Flower color: crimson red and white. Bloom time: May-June. 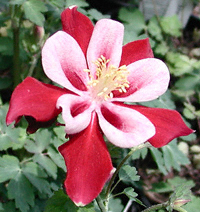 Attributes: bright crimson red and white, multi-colored flowers.